Hair Repair - Just Beauty Products, Inc. Hair Repair There are 13 products. 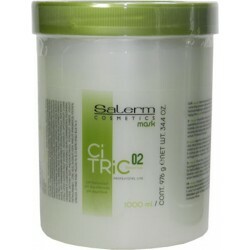 Salerm Citric Balance 01 Shampoo 1000ml / 36 Oz. treatment based on an exclusive complex of fruit acids, liposome provitamin B5 and wheat proteins, which restore the hair's balance and create a barrier against external agents. 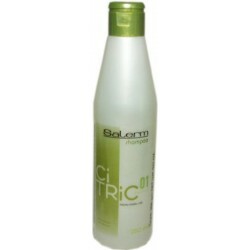 Salerm Citric Balance 01 Shampoo 250 ml. protects the hair and scalp restoring the natural pH balance enhancing shine. For treated, damaged or dry hair. 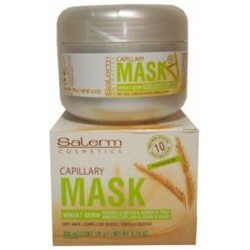 Salerm Citric Balance Mask 1000 ml. (02) exclusive complex of fruit acids, liposome provitamin B5 and wheat proteins, which restore the hair's balance and create a barrier agaist external agents. 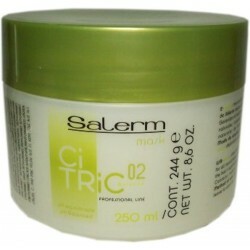 Salerm Citric Balance Mask 250 ml. (02) exclusive complex of fruit acids, liposome provitamin B5 and wheat proteins, which restore the hair's balance and create a barrier agaist external agents. 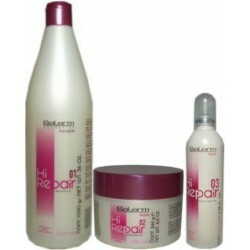 Salerm Hi Repair (1)Shampoo 1000ml -(1)Mask 250ml -(1)Finish 100ml - (Renewer Treatment with BotoxPlus Effect) Hair Renewer Treatment in 3 steps. Immediate and spectacular results: healthy, strong hair with body. 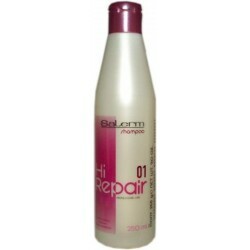 Salerm Hi Repair 01 Shampoo 250 ml. 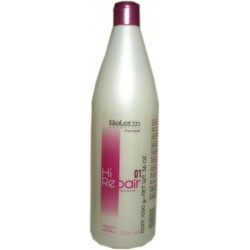 Salerm Hi Repair 01 Shampoo 250 ml. Salerm Treatment, clean and cares for badly treated, damaged hair. Built-in cationic conditioners which lengthen hydrating effects. 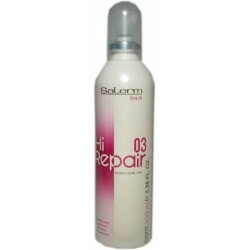 Salerm Hi Repair 01 Shampoo 36 Oz. 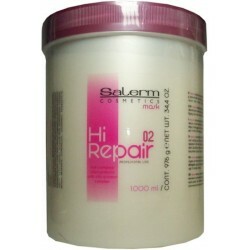 Salerm Hi Repair 01 Shampoo 36 Oz. Clean and cares for badly treated, damaged hair. 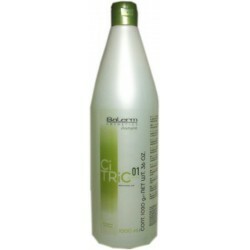 Built-in cationic conditioners which lengthen hydrating effects. Salerm Hi Repair Finish 100 ml. (Step 03) Instantly restores hair's texture and shine. Longer lasting thanks to its Keratinous Sun Protection. 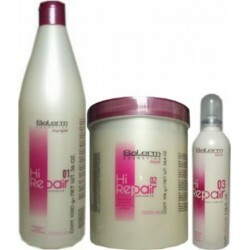 Salerm Hi Repair Kit - Salerm Treatment, clean and cares for badly treated, damaged hair. Built-in cationic conditioners which lengthen hydrating effects. Salerm Hi repair Mask 250 ml. (Step 02) Salerm treatment. Nourishes the hair deep down. Contains a Silk Silic-Protein Complex which instantly restores the hair structure, increasing color, duration, shine and manageability. 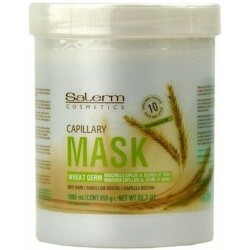 Salerm Hi repair Mask 1000 ml. (Step 02) Salerm treatment. Nourishes the hair deep down. Contains a Silk Silic-Protein Complex which instantly restores the hair structure, increasing color, duration, shine and manageability. Salerm Wheat Germ conditioning 200 ml. / 6.74 Oz. Salerm Wheat Germ conditioning 200 ml. / 6.74 Oz. Treatment for dry, broken and damaged hair. It restores silkiness, hair vitality and elasticity. Salerm Wheat Germ conditioning 1000 ml. / 33.7 Oz. Salerm Wheat Germ conditioning 1000 ml. / 33.7 Oz. Treatment for dry, broken and damaged hair. It restores silkiness, hair vitality and elasticity.